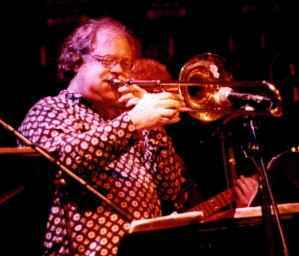 American trombone player, composer and arranger, born July 10, 1947 in Salt Lake City, Utah. He notably played trombone on many Frank Zappa records. In 2007 he received the Film & TV Music Awards for Best Score Conductor and Best Orchestrator. He is the son of jazz educator, musician and composer William Fowler (3) and Beatrice Fowler, brother of multi-instrumentalist Walt Fowler, saxophonist Steve Fowler, and bassists Tom Fowler and Ed Fowler.